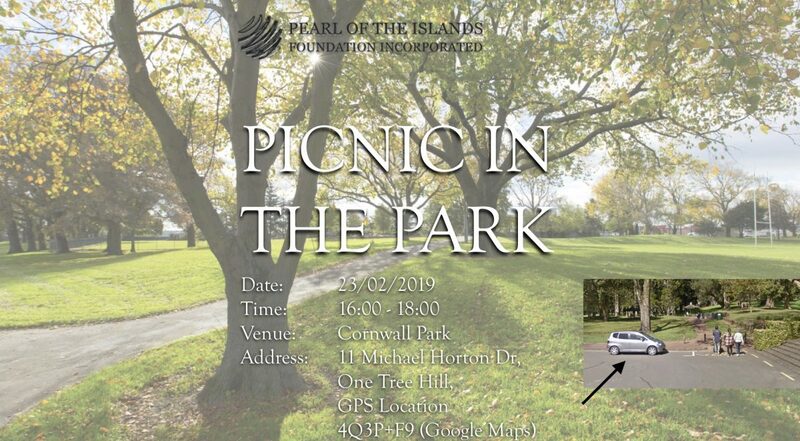 PIF: Picnic in the Park – Pearl Of The Islands Foundation Inc.
As Pearl of the Islands, we would like to wish you a Happy New Year and also invite you to a ‘Picnic in the Park’ which will be our first event of 2019. There will be a bbq with enough food to go around for everyone plus plenty of sides. If you have any dietary restrictions or preferences, please let us know. Please RSVP to rsvp@pif.org.nz. Please also provide your mobile number so we can contact you if we need to make any changes to the location on the day. Pearl of the Islands Foundation Inc. (PIF) is a non-profit charitable organisation established by mainly New Zealanders of Turkish descent in 2006. PIF works comprehensively to celebrate diversity and advance social cohesion between cultures to contribute the educational, cultural and overall social well-being of our community through its established institutions, platforms, and activities. For more information, visit www.pif.org.nz.